with their "living between dimensions/void" theme. After experimenting a little bit and achieving not so satisfying results I consulted big brother google for some more inspiration and found the artworks of dark elves from Heroes of Might & Magic 6. 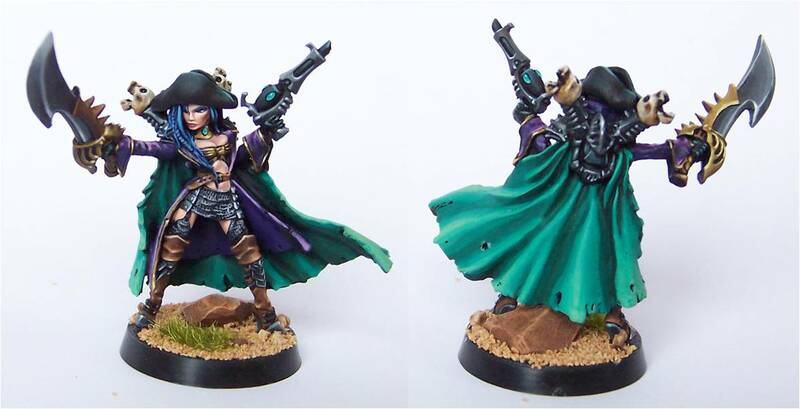 Now I want to try out these, but as a total newbie in the tabletop/miniature painting universe I have no idea what colours to use and what kind of shades to apply. Also I am not that skilled with smooth blending, as I use brushes. The main colour scheme there seems to be black and dark purple, with a tiny few red bits and highlights in bronze/gold. I would statrt with a black undercoat. For the non-armour parts of the main body, go black there. Keep them nice and black, and maybe give them a wash in a dark blue, or paint these areas in a dark blue or gray, and then give them a black wash (Nuln Oil would do). If you'd rather keep to a purple, go for Druchii Violet. The armour scheme of the M&M7 is very dark, coming to purple in the highlights, so I would suggest keeping the armour black as well, and using a Fine Detail brush to highlight every line or armour. 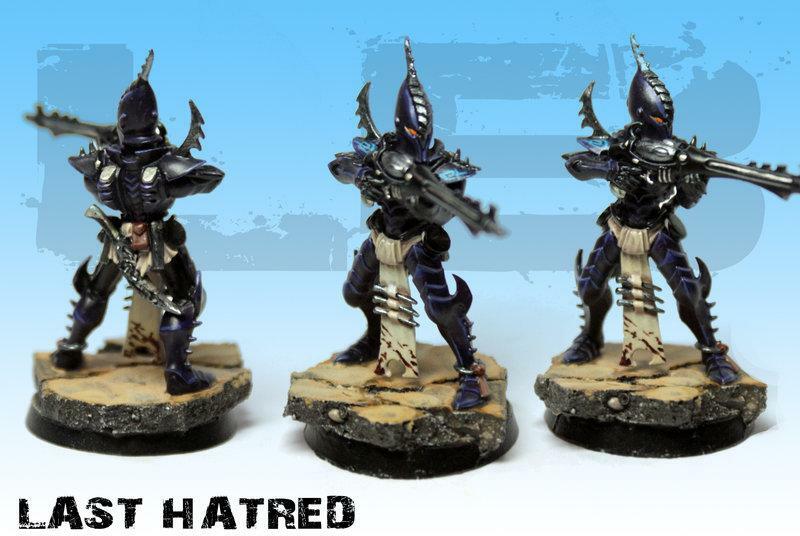 I'd suggest in Xereus Purple, and then use Genestealer Purple to on the very tips of spikes, or highest points of armour. Make additional clothes such as the Warrior's belt loin cloth in red (may want to go for a dark red) so it doesn't stand out TOO much. Additional elements such as the gear on their belt and the gun can be picked out in gold and silver. 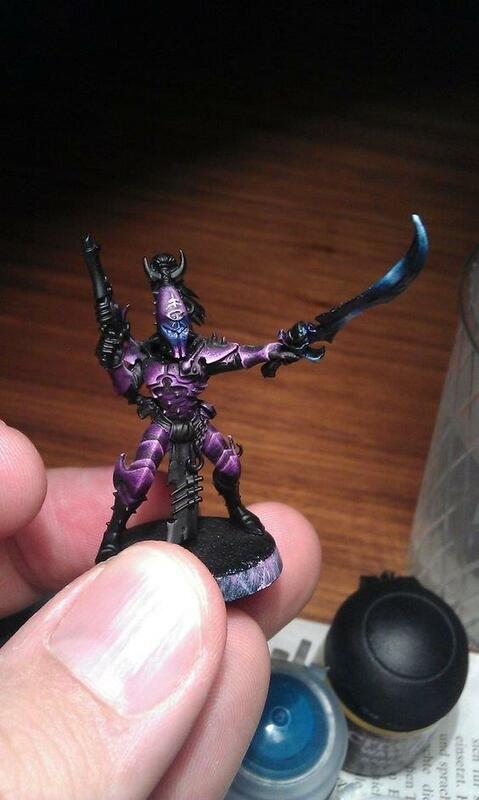 I think that gives a decent approximation of the scheme for the M&M7 Dark Elves. And you also manage to avoid blending, as you get the effect you want purely from highlights on black. 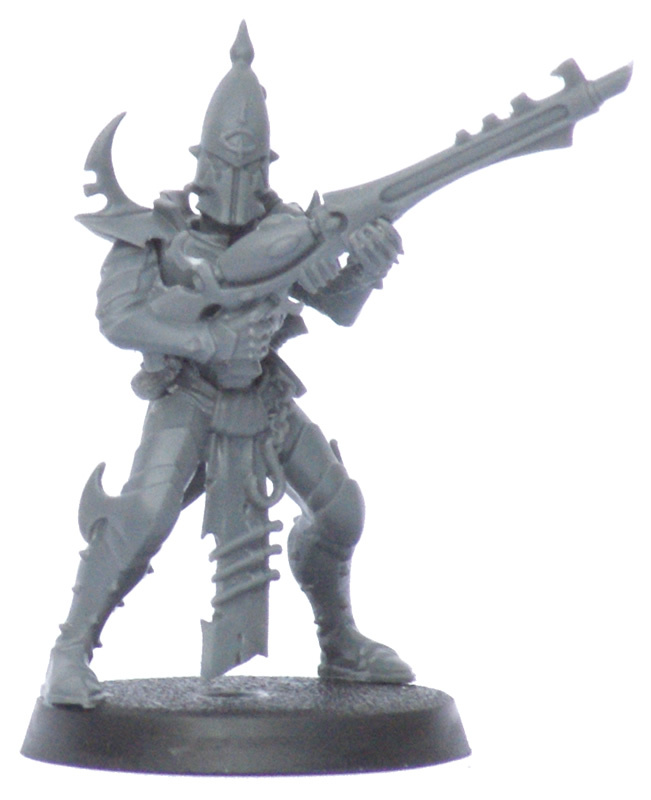 What I meant were the dark elves from M&M 6, Shades of Darkness more specific. Their clothes and armor got a little more purple touch, so i would guess I cant make the armor/clothes with black because the druchii Violet is not visible on black. 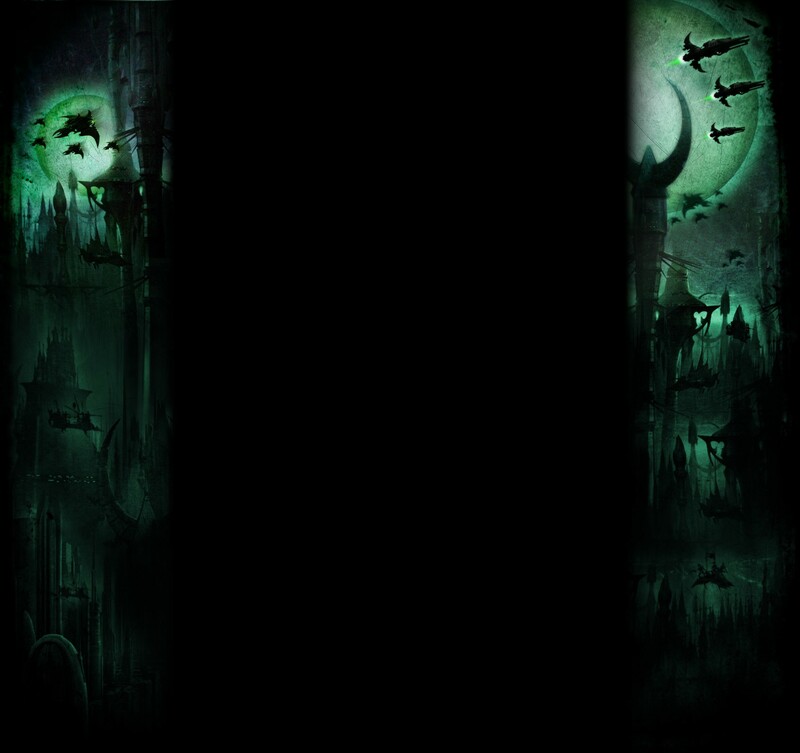 If you wish to use purple I would point to our very own Dark City's colour scheme. Gold is a fantastic highlight colour for purple, but an off-green like teal really works nicely as an accent colour. Purple is a really hard colour to use but a trick I found was to mix in a lot of grey, especially with the accent colour. Going too primary will give you a comic book look. Even if you love the Joker, you don't really want an army to look like that. Hey folks sorry for beeing absent for an entire week, work has been hard. I really appreciate your ideas, they helped me quite a lot with my process of what I want and "what to better not do".